Our friendly teams get the job done quickly, and you pay the best price possible for a fantastic job. We get the job done in a timely manner with no fuss. Just give us a call and we will sort out your carpet cleaning worries with ease. We also offer pest control, tile cleaning, mattress cleaning, spring cleaning, bond cleaning, and upholstery cleaning. 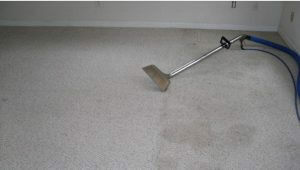 We do it all here at Really Cheap Carpet Cleaning. What Are The Advantages of Using Really Cheap Carpet Cleaning? The biggest advantage is we offer an industry leading 7 day bond back guarantee on all our carpet cleans (if purchased). If you’re after an invoice, that’s no problem. We supply a QLD certified invoice with all our jobs. Another good thing to know is that we are an IICRC (Institute of Inspection Cleaning and Restoration Certification) certified carpet cleaner. That means we provide a high standard of cleaning on a consistent basis. If you have a baby or pets and are concerned about their well being, don’t stress – our products are baby and pet friendly. What’s more, we deodorise our carpets so they smell brand new again (or better!). If you book Really Cheap Carpet Cleaning, you will notice that we are punctual and take the right amount of time to do the job (unless the job is bigger than quoted for). Here at Really Cheap Carpet Cleaning Brisbane, we hope you have found some good reasons to call us. Number 1 In The Industry Think That Stain Will Never Come Out?